WHO IS THE GREAT HARLOT? Here is what the Word of YHWH has to say about the "Great Babylon" of the end times! ...that give us definite clues as to the accurate identification of the latter-day Babylon. In the beginning, Yhwh called Abraham out of the original Babylon. 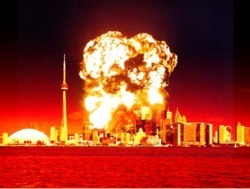 Today, our El is calling us (His Set-Apart People) out of the end-time Great Babylon. Everyone should take a moment and consider just a few of them. If we dont know where, who, or what "The Great Babylon" is, how will we be capable of "coming out of her and escaping her destruction"...!? about the end-time in respect to "Babylon The Great"
This is just a short list of characteristics attributable to end-time Babylon. There are many more, some quite specific with respect to the actual nation to which they truly refer. Bible prophecy demonstrates that we are nearing the time when Babylon will arise once again. In fact, that event is already unfolding. Take a long look at the list above and give serious consideration as to what nation/conglomerate on earth today best fits into the descriptions given. The fact is, if you took all the major countries of the world today and compared them with the Biblical requirements for latter-day Babylon, there is only one nation on earth at this time that even comes close to fulfilling Scriptures' prophecy. Will this nation "head" the conglomerate or union of other nations, or will this nation fulfill the entire prophecy on its own? Who is that nation or conglomerate of states? If its doesnt exist now, who resembles it most? Ask yourself a few of the questions that have been posed. Who is the end-times greatest and richest nation on the face of the earth right now? Who is the world leader in trade, manufacturing, military superiority, political clout? Where was the United Nations founded? 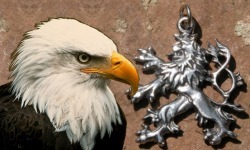 What nation has as its emblem the EAGLE, and whose mother nation's symbol is the LION? THE EAGLE & THE LION....MILLENIA AGO, THE EAGLE-WINGED LION WAS THE SYMBOL OF ANCIENT BABYLON. TODAY THE LION IS THE SYMBOL OF THE MOTHER COUNTRY OF THE LATTER DAY "GREAT BABYLON" AND THE EAGLE THE EMBLEM OF BABYLON. The startling truth is that we need not look in the dark corners of this world to discover the location and identity of end-time Babylon. It is being finalised right here, right now. You and I are living in the midst of it at this very moment! It is high time that you came to see the handwriting on the wall. Time is short, and you need to know what Yhwh has in store for this nation coglomerate, and indeed for the whole world. AND OF THE ABOMINATIONS OF THE EARTH". 6 I saw that the woman was drunk with the blood of the saints, the blood of those who bore testimony to Yahwshua the Messiah. When I saw her, I was greatly astonished. 7 Then the angel said to me: "Why are you astonished? 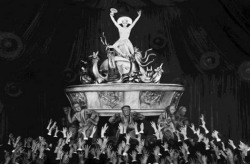 I will explain to you the mystery of the woman and of the beast she rides, which has the seven heads and ten horns. 8 The beast, which you saw, once was, now is not, and will come up out of the Abyss and go to his destruction. The inhabitants of the earth whose names have not been written in the book of life from the creation of the world will be astonished when they see the beast, because he once was, now is not, and yet will come. 9 "This calls for a mind with wisdom. The seven heads are seven hills on which the woman sits. 10 They are also seven kings. Five have fallen, one is, the other has not yet come; but when he does come, he must remain for a little while. 11 The beast who once was, and now is not, is an eighth king. He belongs to the seven and is going to his destruction. 12 "The ten horns you saw are ten kings who have not yet received a kingdom, but who for one hour will receive authority as kings along with the beast. 13 They have one purpose and will give their power and authority to the beast. 14 They will make war against the Lamb, but the Lamb will overcome them because he is Elohim of Hosts and King of kings--and with him will be his called, chosen and faithful followers." 15 Then the angel said to me, "The waters you saw, where the prostitute sits, are peoples, multitudes, nations and languages. 16 The beast and the ten horns you saw will hate the prostitute. They will bring her to ruin and leave her naked; they will eat her flesh and burn her with fire. 17 For God has put it into their hearts to accomplish his purpose by agreeing to give the beast their power to rule, until God's words are fulfilled. 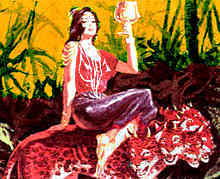 18 The woman you saw is the great city that rules over the kings of the earth." The "great city that RULES (note that the present tense is being used here as it was written) OVER THE KINGS of the Earth" cannot be other than ROME, because only Rome (and no other) was the Ruling World Empire at the time this was being spoken, and was the only city in the world to "sit" on seven hills. Only one religio-political system fits ALL the characteristics of who is the anti-Mashiach power being referred to. 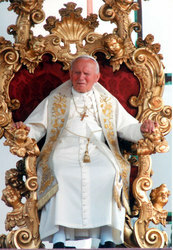 The "woman you saw riding the beast" was and is the Papal system of the Roman Catholic Church. It will rise to be a great power after the fall of the pagan Roman Empire (after 476 A.D.) The Roman Catholic Church "survived" the political Roman Empire. It will be a geographically small nation (a little horn). 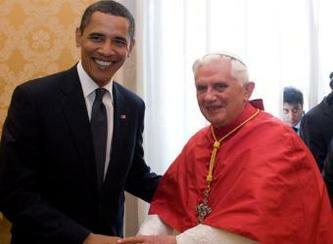 (Dan 7:8) The Vatican City is a small "nation" within a nation. 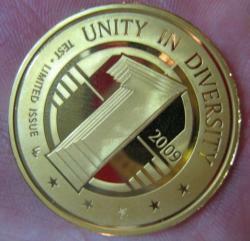 Has its own currency, passports etc. It will be headquartered in the city of seven hills, Rome. This is where the Holy See/Vatican City is located. It will be a religio-political entity - a political city-state ruled by a priest-king. This has been the role of the Roman Papacy since its origins: to fornicate with political leaders. Its priest-king will make great and blasphemous claims. 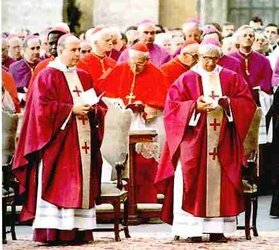 (Rev 13:1, 6) The Roman Pope holds the blasphemous title of IL PAPA (the father) of the church, and calls himself "Vicar (Substitute) of Christ" (the Annointed). Pope Innocencius, who instituted the Inquisition, went as far as calling himself the one and only GOD of the Bible. But the worst blasphemy of this religious harlot IS YET TO BE SEEN! It will claim authority over all kings. 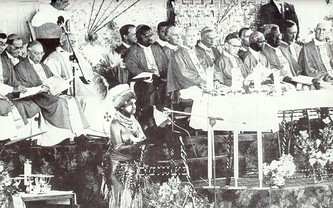 (Rev 17:18) Only the Universal Roman Church has accomplished this. They have crowned kings, emperors and blessed presidents and dictators such as Adolf Hitler. 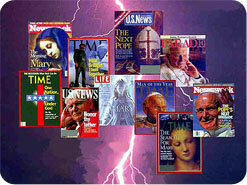 It will claim its power to change the holy times and laws of Yhwh as its mark of authority. (Dan 7:25) They changed the 7th day and all the Annual Feasts of Elohim, and changed the calendar or Yhwh to a Gregorian/Julian human calendar. They also abolished the Commandment against Idolatry. It will be an apostate religious entity that makes the nations drink her cup of apostate doctrine. 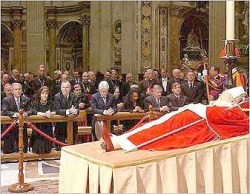 (Rev 14:8) Her followers conform to her teachings, her oppossers are forced to do it too, or are murdered. It will be a “mother” harlot Church, with apostate daughters coming from her. (Rev 17:5) Out of the Roman "mother" Church came the Protestant "daughter" churches, also apostate. It will be a major persecuting power, killing the faithful saints of Yahshua Ha Mashiach as heretics. 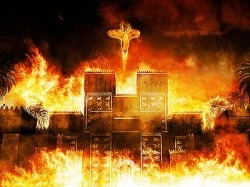 (Rev 13:7) Rome, in the first fulfillment of this prophecy, destroyed the Temple and persecuted and killed the faithful of Yhwh from the time Yahshua died for more than 1,000 years. Rome will do it again in the final fulfillment. 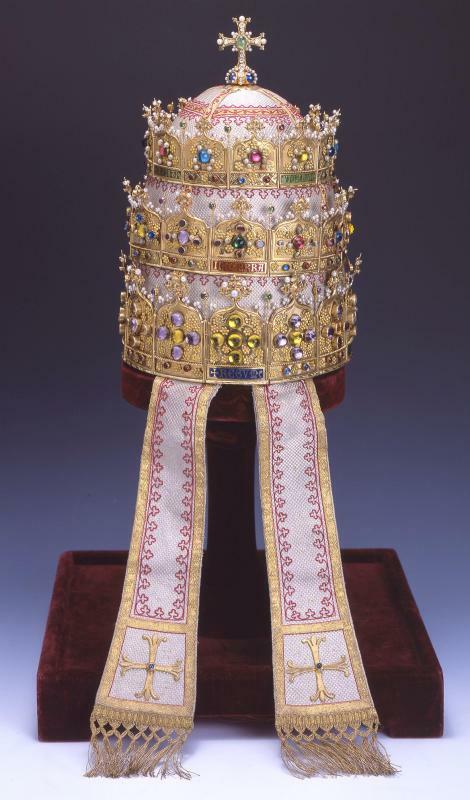 It will hold power and authority for 1260 years following the fall of pagan Rome. The Roman Universal Church (the little horn) remained in constant power after the fall. It will suffer a deadly wound that will end 1260 years of dominance and persecution. In 1798, exactly 1260 years after 538 a.d., for the first time in history the church was silenced and lost its power, when Napoleon took the Pope prisoner until he died. Napoleon failed to "unite" christian Europe, because he did not seek the guidance and blessing of the church. It will be revived after the deadly wound, and all the world would wonder at its revival. 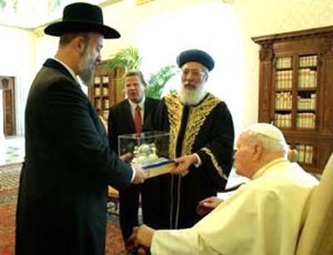 (Rev 13:3) The final christian religio-political world empire is about to appear when again the Roman church "marries" another final, terrible, anti-Mashiach government. The Beast of Revelation will be an empire based on political and religious unity! 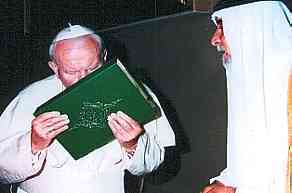 No wonder the Roman Catholic Church was so opposed to the Bible being available for everyone to read for themselves. To control what they called heretical doctrine, the Catholic Church called for a special meeting known as the Fifth Lateran Council, (1512-1517) which forbade anyone to publish a book without prior censorship and also prohibited anyone from preaching on the subject of antichrist. The leaders of the Council and the Catholic Church also attempted to ban or burn all Bibles, heretical books, and the heretics that owned or preached from them. In order to divert all attention away from the Roman Catholic Church as the antichrist power of that time, a new interpretation had for this prophecy to be found and spread by the false church. This was done by rejecting the true “Historical” interpretation and accepting a false “Futurist” interpretation proposed by a Jesuit catholic doctor of theology, Francisco Ribera (1537-1591). Needless to say, very few people outside the rank and file of the Catholic Church, accept this interpretation. There will soon come a time when it will be forbidden to read the Bible in all its versions. Prayers in schools and in any public buildings/areas has already been forbidden in many christian countries, including the United States, France, Great Britain, and very soon in Spain and others. What other evidence from Revelation 17 proves that Babylon refers to papal Rome? Revelation 17:3 . ... I saw a woman sit upon a scarlet coloured beast, full of names of BLASPHEMY. 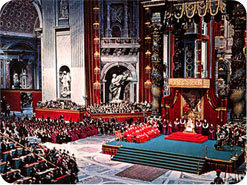 The "Holy See" or Papal Rome fits every description. In Scripture, a woman is symbolic of Yhwh's elect. 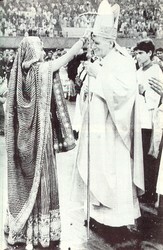 A woman dressed in white represents the bride of Yahshua. A woman dressed in red (prostitute) and purple (royalty) represents filth and power. Thus its a false bride of Messiah, an impostor. This harlot's headquarters are in Rome--"the city of seven hills." Scarlet and purple are also the church's most important colors: red is always the color of cardinals' robes, and the pope often wears the royal color of purple at the most important functions. The Roman church freely admits that during the Middle Ages, she persecuted the saints and ruled over the kings of the earth. During that time, Pope Innocentius was guilty of the worst blasphemies. 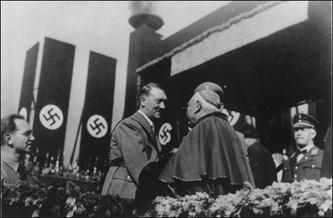 Pope John Paul II also admitted the church's participation in the Nazi jewish holocaust. Yhwh's symbolism fits perfectly--a prostituted mother church whose fallen daughters protested and also fell in apostasy. 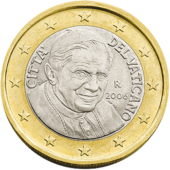 The name "Vatican" means "mound of adivination" from the words Vatisc Annus, the ancient name of the geographical place where The Holy See is in Rome, and which in latin literally mean mound of the Sorcerer Old Woman. From Vatis comes the term to Vaticinate, which means to prophecy, or foretell. Amazingly, the Roman false religion of the False Prophet is sitting on a place called anciently "Hill of the Old Woman Prophetess"!! DO NOT BE DECEIVED: THE ROMAN UNIVERSAL CHURCH IS STILL EXTREMELY POWERFUL, RICH AND REVERED BY THE WORLD! ● Hundreds of world leaders attended the last Pope's funeral, reported by the world press to be the largest such gathering in world history, including 4 kings, 5 queens, 70 presidents and prime ministers, and even 14 top leaders of other world religions. ● Over 4 MILLION pilgrims arrived in Rome, a city with only 3 million residents. ● The funeral likely had the world's largest TV audience for any event ever, exceeding 2 BILLION viewers. ● The Roman Church is the richest religious entity in the world. ● It has over 1.247 BILLION Latin and Eastern Catholic faithful adherents around the globe, despite having lost many. 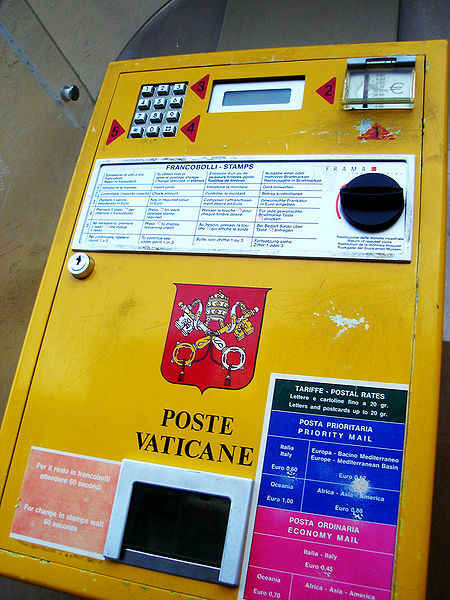 ● The Vatican has its own currency, Postal Service, Guards, and issues its own passports. No other world religion has so much influence, power, dominion and riches. "Soul of Christ, sanctify me. Water from the side of Christ, wash me."